As Vermonters, we love winter. We embrace it. As they say, “Don’t hibernate! 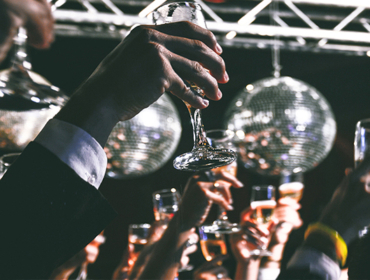 Celebrate!” One of the joys of winter is being able to share it with friends and family. 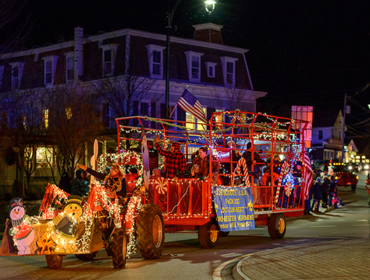 If you’re ready to pack the children in the car and to head north for a winter getaway, we’ve put together our favorite outdoor activities to experience in the Manchester, Vermont area. Having appropriate clothing and gear is most important in the winter months. There’s little fun to be had when you’re cold and/or wet. Layers are important. 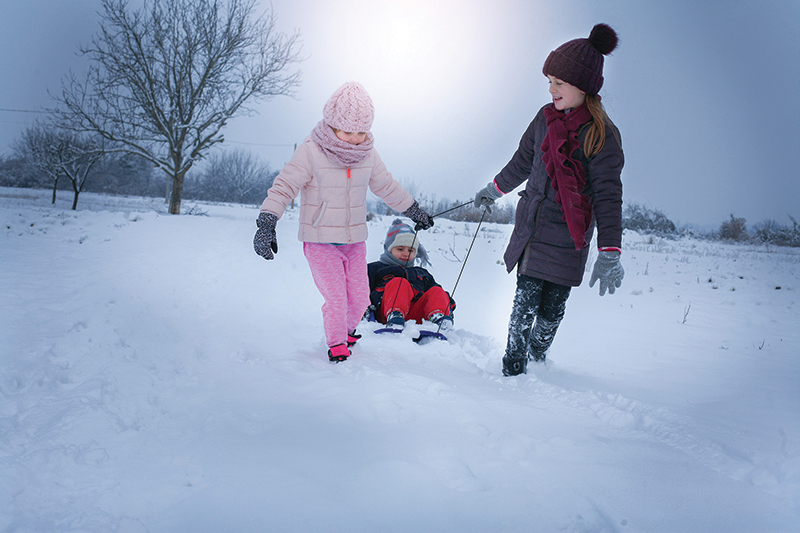 Look for top and bottom base layers with a material to keep warm and dry. Bring along some mid-layer options of different weights. Fleece is a good option. Because staying dry is critical, jackets and pants should be waterproof and insulated. Don’t forget a neck warmer, goggles, waterproof mittens or gloves, a pair of warm socks, and a helmet. 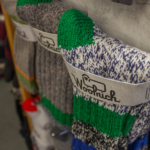 While you’re in town, check out local retailers Heinel’s and The Mountain Goat for winter clothing and accessories as well as for outdoor sports equipment. 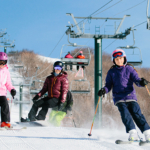 What is a Vermont winter vacation without a little skiing or snowboarding? If you think your clan is up for hitting the slopes, this is the perfect place to learn. Lessons can help tremendously with developing a child’s confidence and skill, and most love to ski in groups (it also allows you to head out and hit the fresh, black-diamond powder). If your child is nervous, discuss with him or her what to expect. 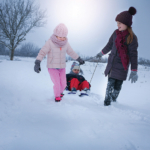 Help your children envision their time skiing by talking about all the incredible things they will learn in lessons and the fun games they will play on the snow. 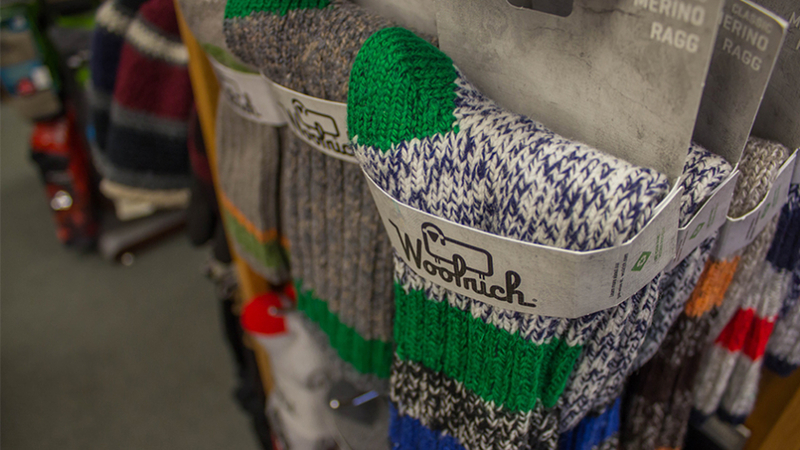 Grab your winter boots and maybe some ice cleats to take in our area’s snowy wooded paths. Located just down the road and up the hill in Rupert, about 15 minutes from Manchester Center, Merck Forest & Farmland Center features easy to moderate trails ranging from 5 minutes to 2 hours. On the way in to the property, be sure to stop and see the animals; this is a working farm after all. Merck also has an operating sap house where you can learn about how maple syrup is made from collected sap that is boiled into a delicious winter treat. Another one of our other favorites is the trails at Equinox Preserve. Close to town, the trails wind through the forest and around a beautiful pond with views of Mount Equinox in the background. The flat trails with bridges to explore are great for youngsters. Check out our detailed blog on how-tos and best paths at the preserve. Snowshoeing is a fun way to get around when the snow becomes a little deeper. 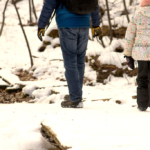 While wearing snowshoes may be awkward at first, they are great for children, as they make trekking through the white stuff easier than just wearing snow boots. 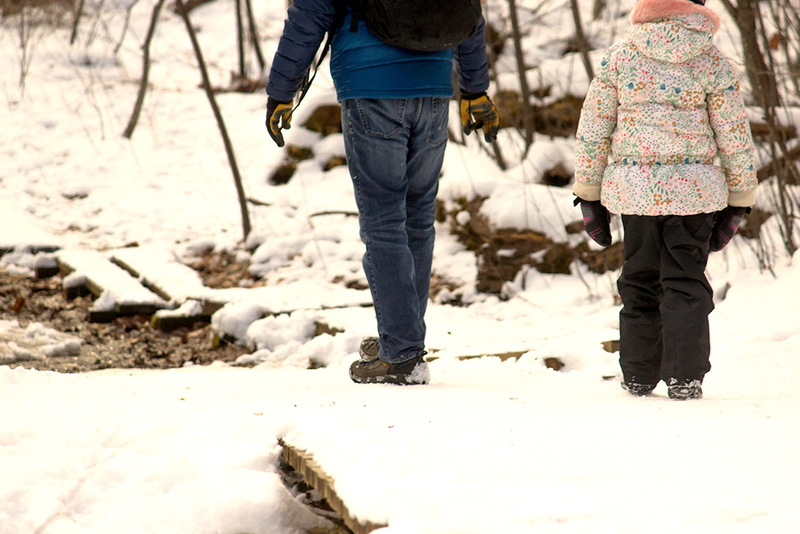 If you have your own snowshoes, hit the trails at Equinox Preserve or Merck Forest. 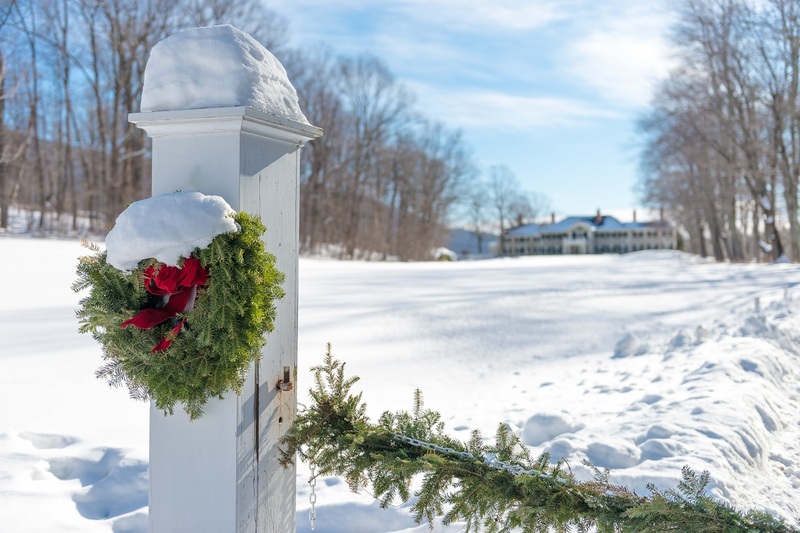 If you and the family want to try it out for the day, head to Hildene, The Lincoln Family Home. Here, rent snowshoes and pay an admission ticket and then head out on the approximately 12 miles of walking trails on the estate. Each has a varying level of difficulty, so grab a map at the welcome center while you’re there. While on-site, stop by the working goat dairy and cheese shop for a look at the friendly Nubians. The trails at Hildene double for cross-country skiing and snowshoeing, so take your pick. 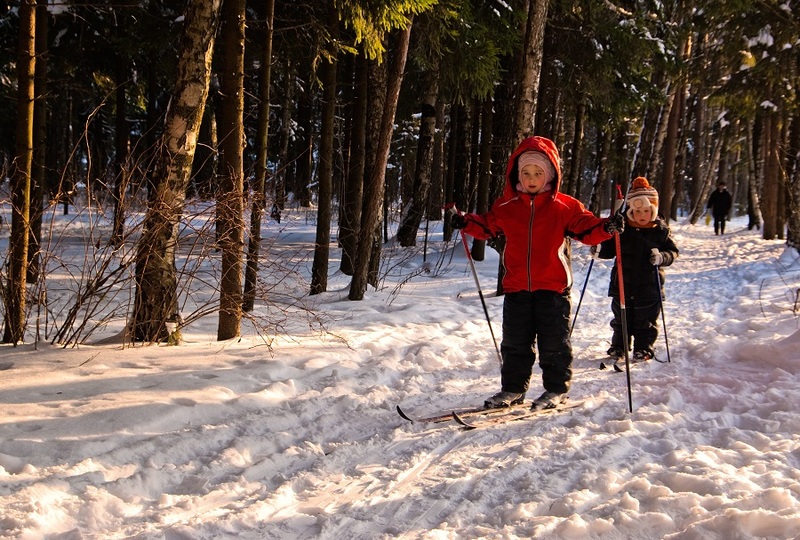 Children can glide around the trails on skis as they explore the farmland. 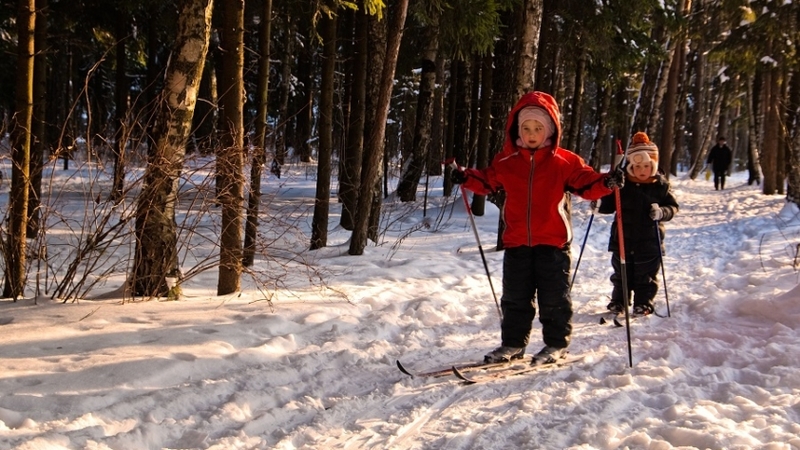 Cross-country skiing takes a little getting used to, so it tends to be best for kids who are a little older. Hildene rents cross-country ski equipment as well. Alternatively, head up to Wild Wings Ski Touring Center about 20 minutes outside of town. Wild Wings is a cross-country skier’s mecca. The miles and miles of groomed trails are just waiting to be explored. Their warming center has all equipment rentals ready to go. And if you go in late February or March, you may even catch the staff boiling maple sap for syrup, so pick up a pint for a true Vermont souvenir. Fly over the snow from the seat of a snow tube. 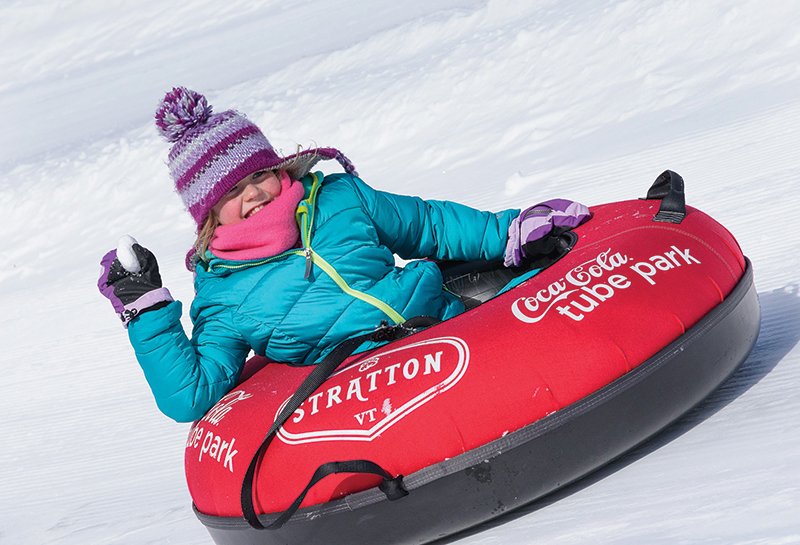 Children love tubing, and it’s hard to keep smiles off the faces of adults too. Snow tubing has become iconic and a must-do for winter vacations. 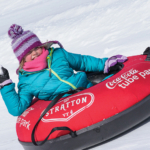 Both Stratton Mountain Resort and Magic Mountain have winter tubing parks ready to transport you up the hill before an exhilarating ride back down. 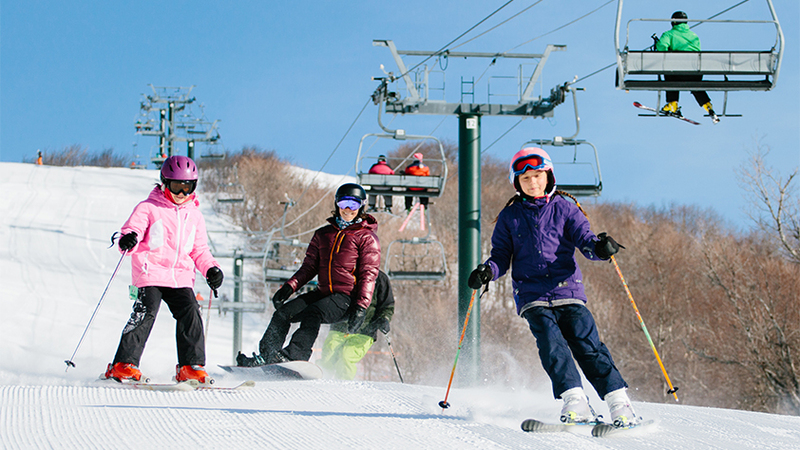 Magic’s hill is open on weekends and Stratton’s is open Friday–Sunday and during holiday weeks. We can’t ignore this classic. 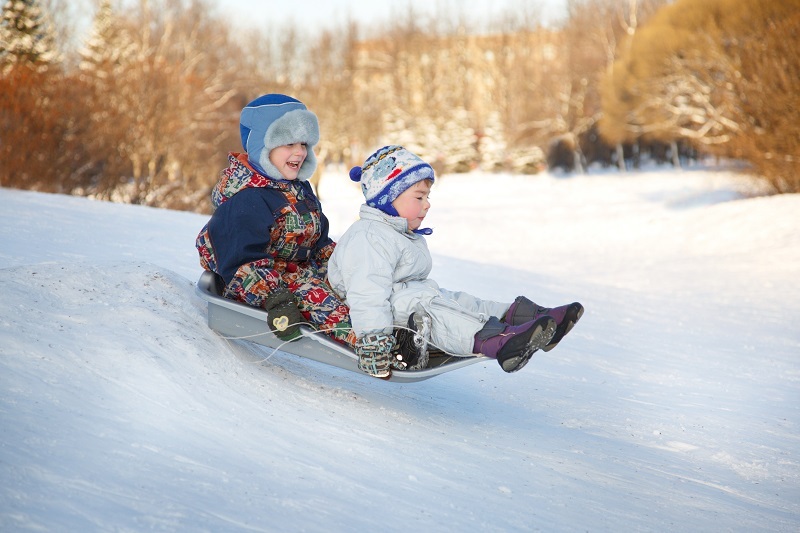 Call it what you will: “sledding,” “sliding,” “snow sleigh,” “toboggan”—they’re all synonyms for joyful winter memories. 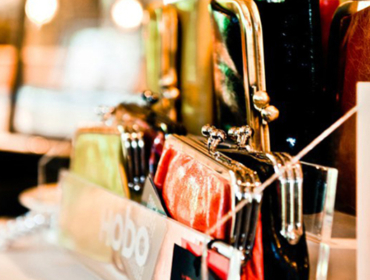 We know you probably have a sled or two in the garage, so don’t forget them when you’re making your vacation-packing list. Vermont is full of perfect sledding hills, so pick your favorite; just be sure it’s one without any obstacles and with plenty of room for your stop at the bottom. 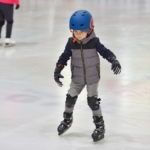 While not technically an outdoor winter activity, Riley Rink at Hunter Park is perfect for ice skating all winter long for just that reason—they are able to ensure the best skating surface no matter the weather. The on-site warming area and snack bar also don’t hurt. 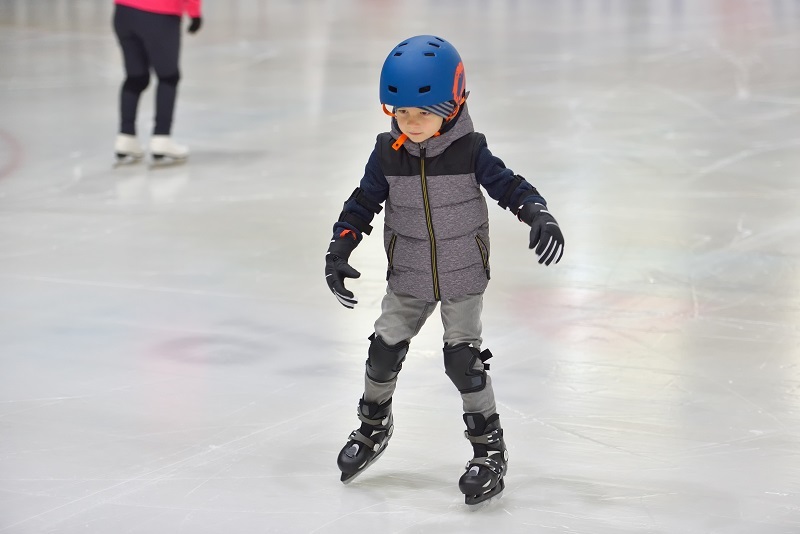 Of course, ice skate rentals are available, so even if it’s a blustery day outside, pack in the car and head over to the rink for some winter fun. Check their website for public skate hours. Let’s not ignore one of the most important parts of all of this: that feeling of coming in from the snow, stripping off your snow boots and jacket, and sipping a warm hot chocolate. 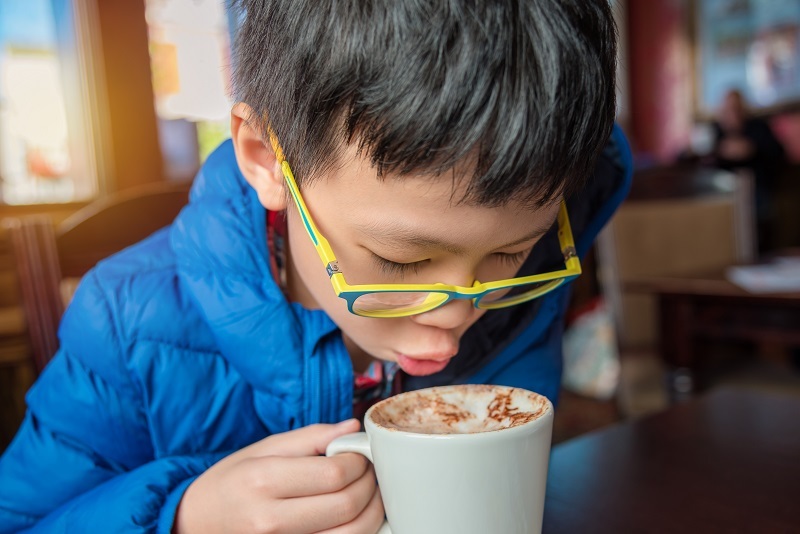 Charlie’s Coffeehouse is here for all of your tasty winter beverage and chocolate chip cookie needs, so pay them a visit after you’re done exploring the great outdoors.